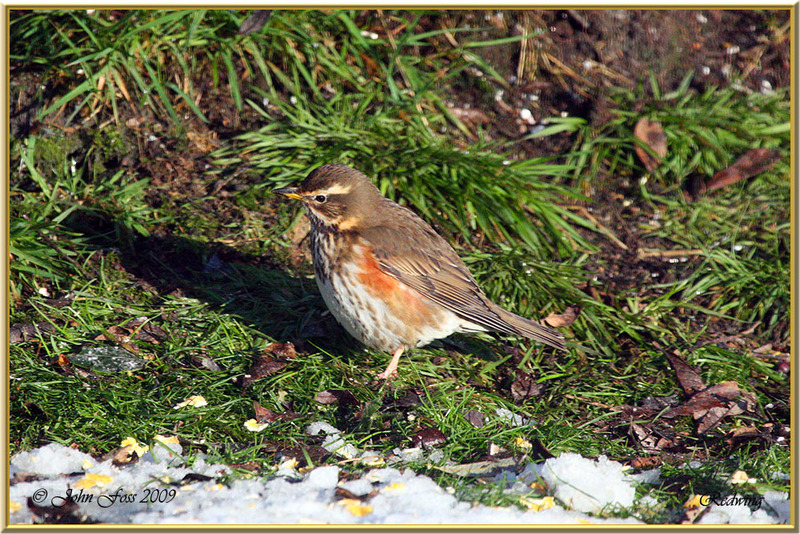 Redwing - Winter visitor. 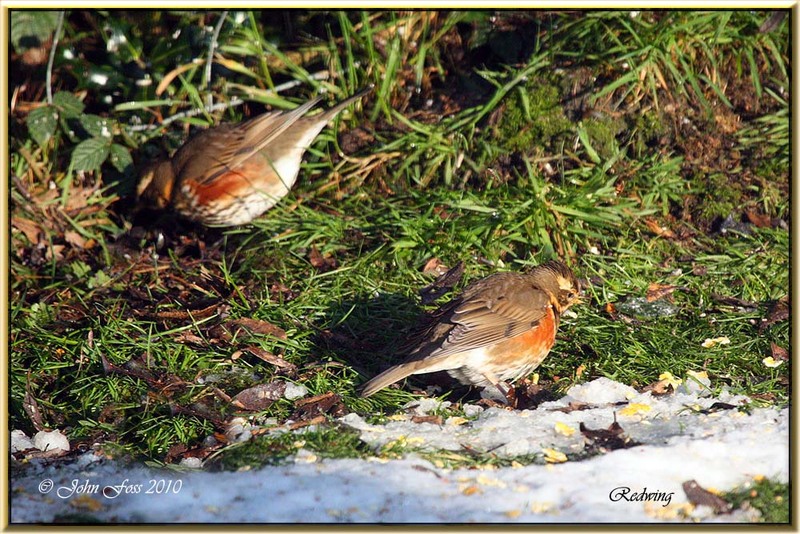 This member of the thrush family fly in very large flocks sometimes mixed with Fieldfares. 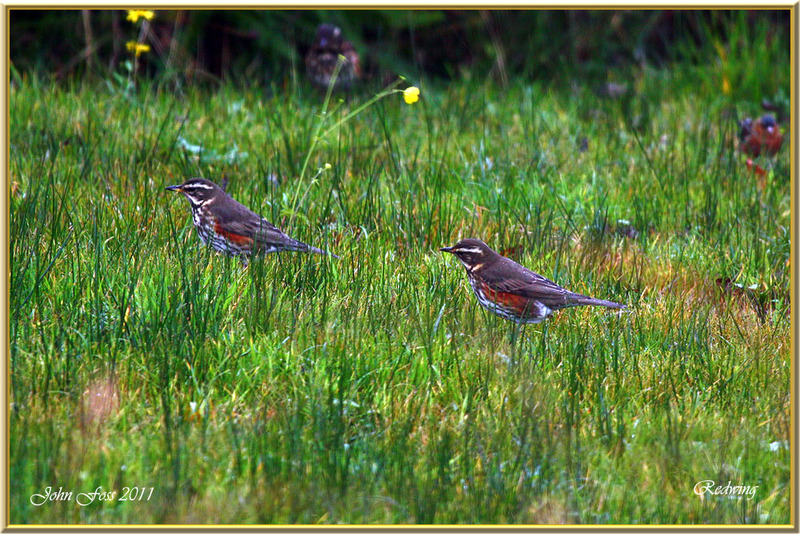 They have a prominent red underwing which distinguishes it from the Song Thrush. These pictures taken at Greaghnafarna Co. Leitrim. 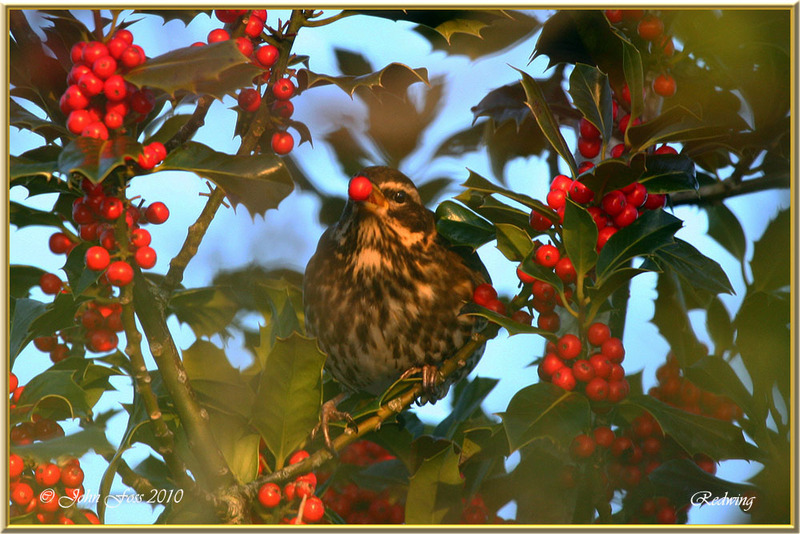 ▼ Redwing at Greaghnafarna Co. Leitrim feeding on Holly berries.